Antalya is very popular beachside in Turkey. Antalya is a province located in the southern Mediterranean region of Turkey, between the Taurus Mountains and the Mediterranean sea. 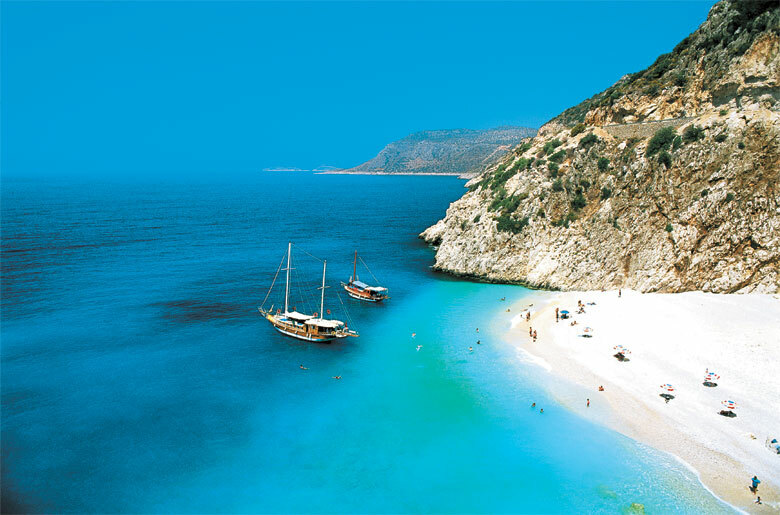 This region is known as the “Turkish Riviera” due to archeological and natural beauties that has to offer. Antalya from long time ago has been one of the most important tourist places in the country, and as an international resort attracts the 30% of foreign tourist visiting Turkey. In the western part of Antalya one of history’s first major confederations, the Lycian Union, was formed. This league, once the most powerful in the region, had its member states represented by a system of one, two or three votes, depending on the size and importance of the states. Starting from the west end of present day Antalya and stretching to Fethiye in the province of Muğla, Lycia – the land of light – covered a very large area for those days. To the east stretched the state of Pamphylia, the land of all tribes.